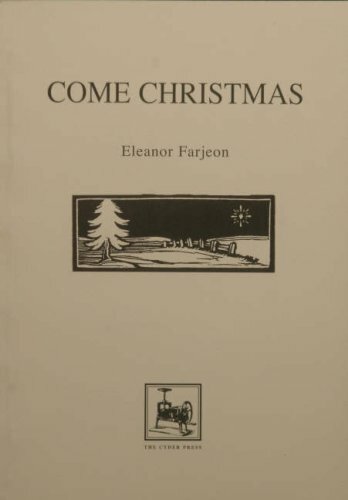 A step towards alleviating the general ignorance about Eleanor Farjeon (after whom the Award is obviously named) might be taken by buying this facsimile of her Christmas poems first published in 1927. They will surely seem strange to a public inured to the raucous vulgarity of what we must now call ‘the holidays’ and their naive – not to say sentimental – religiosity may jar. Nevertheless Come Christmas should be commended to present readers for conveying the spirit of its time, whether in its quasi medieval carols or its verses about street children, and that spirit is caught too in the craftsmanlike wood engravings (decently reprinted) by Molly McArthur (aka Florence Mary Anderson). Anne Harvey’s introduction admirably gives a context to the work and its author.